Sophomore ABC comedy Don't Trust the B---- in Apartment 23 was pulled back in mid-January and 8 episodes still remain to air. Starting May 17, you'll be able to see those remaining 8 episodes all at once! The episodes will be available on abc.com, Hulu and iTunes for free. No word if the episodes will also air on ABC, but since all eight episodes will be posted online, airing on television is unlikely. ABC still has a few other canceled shows that have remaining episodes but those might actually air on television. Freshman dramas 666 Park Avenue has 4 episodes left, while drama Zero Hour has a whopping 10 episodes left. There is word that Zero Hour will start airing from the beginning on Saturdays starting June 15, but that is not official just yet. Back to Don't Trust the B---- in Apartment 23, the 8 remaining episodes will feature great storylines and guest stars as always, including a special appearance by Good Morning America weather anchor Sam Champion as Sam Champion. The hilarious comedy starring Krysten Ritter as Chloe, Dreama Walker as June and James Van Der Beek as James Van Der Beek, is about when a naïve Midwestern girl's big city dreams are dashed during her first week in New York and she finds herself living with her worst nightmare, in a hilarious, contemporary comedy about a female odd couple who are surrounded by an outrageous cast of characters. It was like a live action animated comedy and we will miss it. Make sure you watch the remaining 8 episodes on abc.com, Hulu or iTunes on Friday, May 17. 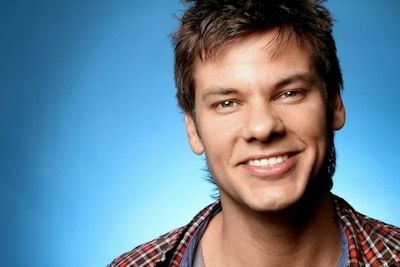 Comedian, host and reality star Theo Von (Primetime in No Time, Last Comic Standing) is set to host TBS's upcoming new series Deal With It, from executive producer Howie Mandel. The hidden-camera show with a twist based on a successful format created by Keshet Broadcasting and United Studios is slated to premiere Tuesday, July 16, at 10pm (ET/PT). In TBS's Deal With It, unsuspecting members of the public will be secretly dared to pull a prank on their unwitting companions with absolutely no time to prepare. If they agree to participate, they must obey all instructions given through an earpiece from a secret control room nearby. With the opportunity to prank their way to cash and prizes, these everyday people will be shown no mercy as they are tasked with pulling off some of the most ridiculous behavior ever caught on hidden camera. Host Theo Von is the host of Yahoo! 's popular daily recap show, Primetime in No Time, the most successful video series online. As a comedian, he headlines comedy clubs across the country and was featured in one of the highest rated half-hour specials on Comedy Central last year. He also appeared on the hit series Last Comic Standing. Theo first came to the public's attention when he starred on MTV's popular reality series Road Rules. In addition to his on-screen appearances, Theo created CrankTexts.com, a website where he texts random cellphone numbers and gets into conversations with total strangers. Six episodes have been ordered. TBS also has another upcoming series Trust Me, I'm a Game Show Host still not scheduled. 10 episodes have been ordered for this series from Mark Burnett (The Bible, Shark Tank). This is a comedic game show in which two hosts each present the single contestant with a different answer to the same question. One host gives the correct answer, while the other lies and gives an incorrect answer. The contestant must then choose the right answer to move on in the game. This is the first game show where two hosts duel to deceive contestants. The players who prove themselves to be super-human lie detectors will go home with a pocketful of cash. Stay with us for a premiere date on that as soon as it is announced.